We are now enrolling for our 2019 classes! Click here to see what we have to offer for 2019! Do You Have Questions? Click here to ask! Your Precious Gems will have a treasure trove of opportunities to glow with confidence as they sparkle, twirling and giggling around the room. Dancing feet and tapping toes will take them on magical journeys exploring enchanted forests, unlocking secret gardens, and much more! This is where their dance journey begins! All Precious Gems wear their most beautiful dancewear with their hair pulled back so we can watch their eyes sparkle! Rubies swirl around in ballet slippers while Sapphires twirl in ballet slippers and tap shoes! Rubies getting ready for Hickory Dickory Dock! This was a bilingual class! Rubies sparkle and shine in our special preschool room, complete with an enchanted mural including Sparkles the Unicorn, Ms. Lisa the Dance Fairy, and a castle full of magical friends! Moving constantly to music, rubies learn to skip, gallop, take turns, follow the leader, and use their imaginations, making this the high light of their week! Once your child can move to music, why not add taps to their feet? Yes, then they can make even more music! Splitting the hour between tap and ballet, you child will spin, leap, skip, and create rhythms with their shoes! 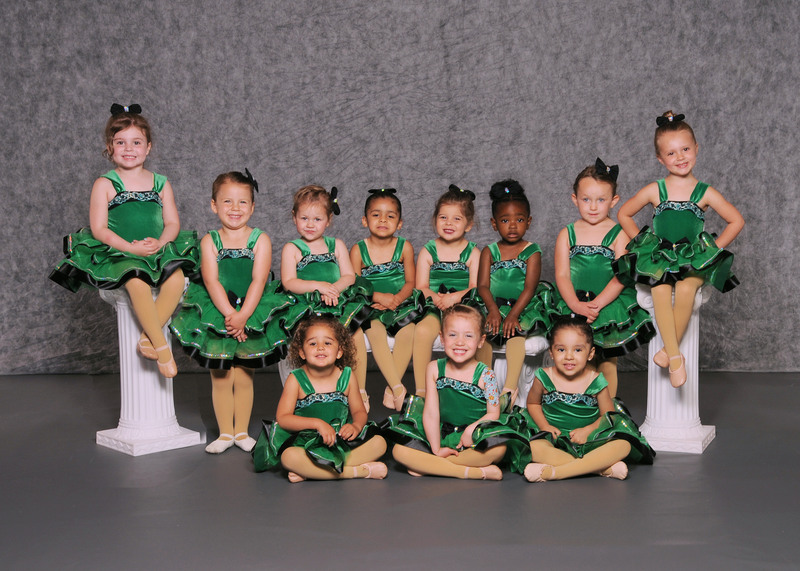 Smiling and asking when their next dance class, you will see them grow in confidence!